“In a company with 80,000 employees, we can’t afford to go to sleep,” said Ger Hill, director of research & technology at the Medtronic Bakken Research Centre (BRC), located in Maastricht, the Netherlands. Named after Earl Bakken, one of the company’s founders, the Centre has no intention of snoozing, as it is home to several key areas of activity for Medtronic, including clinical evidence, regulatory approval, and global translations. 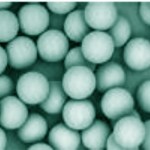 It also serves as a testing house for various parts of the company, from idea and clinical feasibility to manufacturing to transfer and product release. Much of BRC’s emphasis appears to fall within the cardiovascular segment, addressing applications for aortic and peripheral vascular, cardiac rhythm and heart failure, and coronary and structural heart. 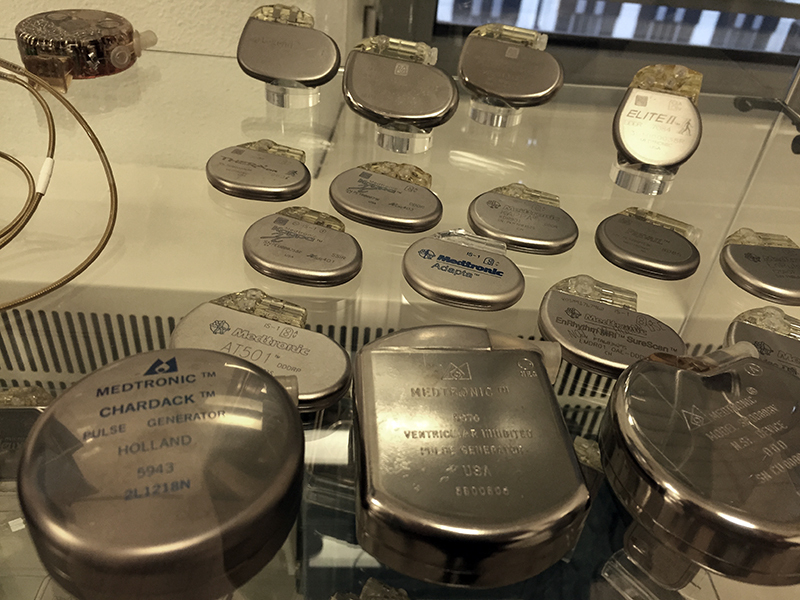 Innovation for survival: A look at the evolution in Medtronic’s pacemaker technology at EM-TRAC in Maastricht. 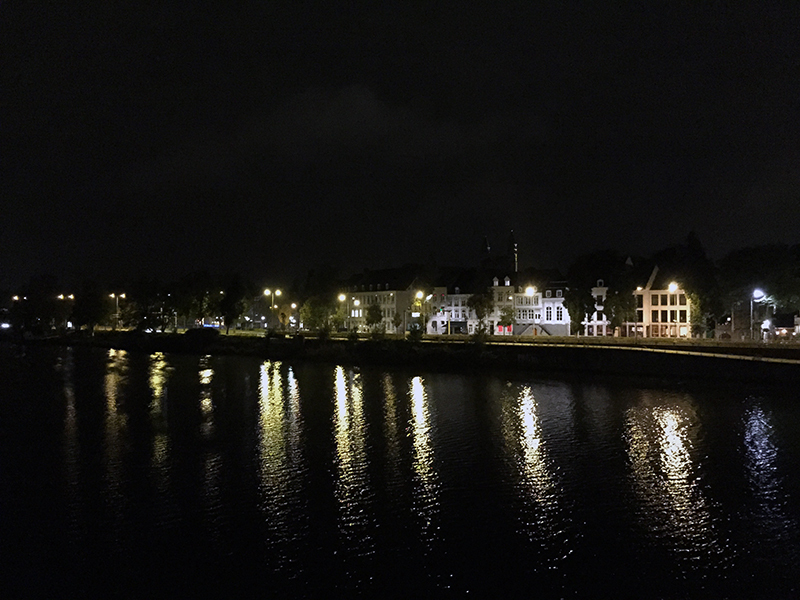 BRC has been in the picturesque city of Maastricht for about 27 years (Note, Medtronic has had a presence in the Netherlands for more than 50 years). As a global company, having a research center in Europe provides high value for a variety of reasons, among them enabling broader access to a global footprint (BRC has activities in more than 90 countries) and close collaboration with physicians in Europe. “The regulatory environment here allows us to move quickly to commercialization,” Hill told a group of medtech journalists during a press tour of the region. In addition, physicians have a different mindset in Europe versus the United States. “It’s a freer flow of ideas and a freer flow of collaboration,” said Hill. He pointed out that although BRC’s quality system is compliant with the Medical Device Directive, Active Implantable Medical Devices Directive, and ISO 13485, it is not FDA compliant, and the Centre currently has no intention of registering with the agency. The Centre does, however, work on clinical investigational devices in partnership with the United States.The diverse BRC campus consists of medtech professionals from 33 nationalities. 68% of the employees are female, the average age is 39 years, and the average length of service is 7 years. According to Leo Kretzers, general manager at BRC, the Centre handles more than 100 product approvals in Europe each year, supports more than 100 clinical studies in the region, and supports more than 500 registration requests globally. Within its global translations services, BRC translates patient manuals, and software, clinical, corporate, and marketing materials into 32 languages to support its cardiovascular, diabetes, neurovascular and spinal technologies. 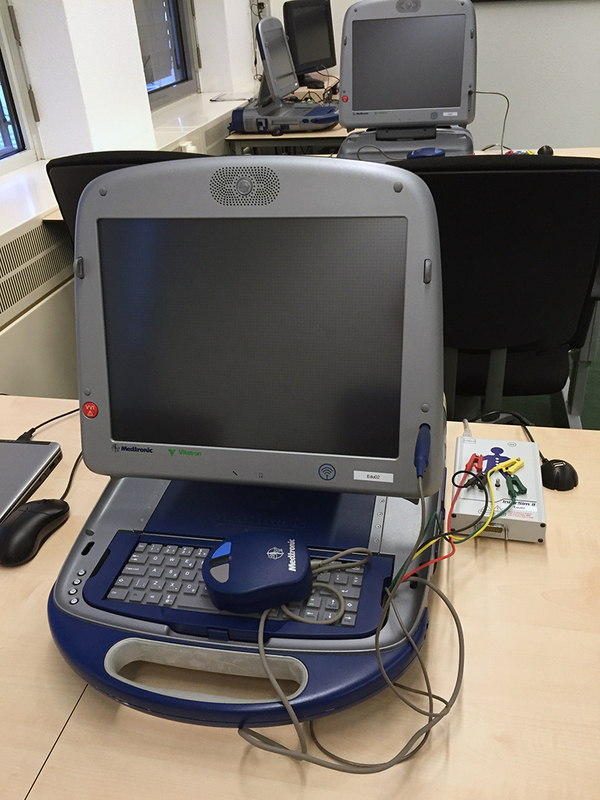 At EM-TRAC, physicians use this technology to learn how to program Medtronic’s pacemakers. Just a short walk from BRC is EM-TRAC (European Medical Training Center), which was established in 2013 with a goal of creating a safe environment to train and educate physicians and other healthcare professionals. Medtronic has a designated hands-on training space within EM-TRAC that includes a wet lab where physicians can practice on pig hearts, a simulation lab, and a programming room where physicians can learn how to program Medtronic’s pacemakers. Don’t be distracted by Maastricht’s romantic views. It is a serious logistics hotbed for the industry due to its proximity to other major cities, including Düsseldorf and Brussels. 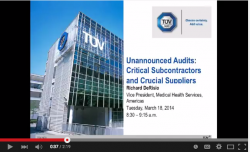 Boston Scientific and Abbott Vascular are among the other medtech heavyweights with facilities in the city.